This was sent to me by Kristina W. of Arizona – thank you! 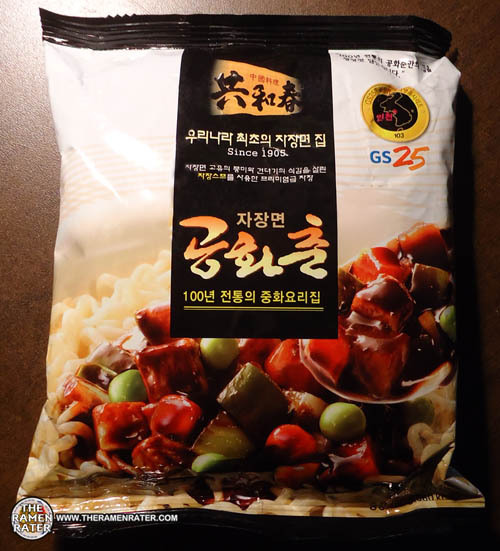 Jjajangmyun is basically a noodle that is coated in a black bean sauce. Let’s check it out! 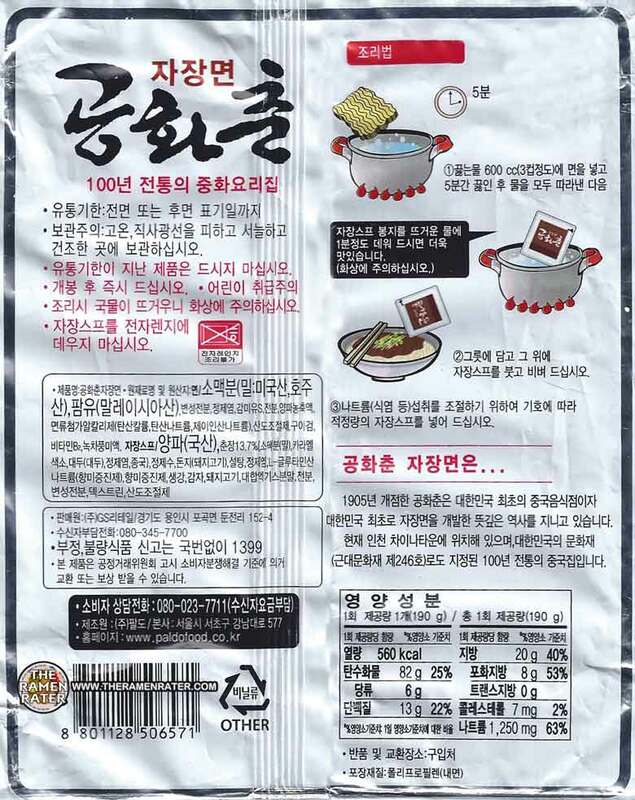 The back of the package (click image to enlarge). Not sure if it contains meat or not. The only packet included is a big one full of sauce. Decided (as I did yesterday as well) not to make a big mess by trying to fit this stuff in one of the little sake cups I usually use. Finished (click image to enlarge). Added some beef, carrot and Vidalia sweet onion. 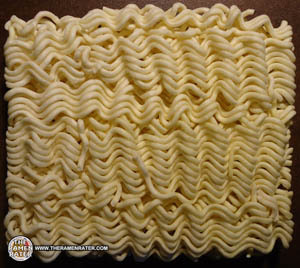 The noodles good – a little chewier than usual and nice and plump. 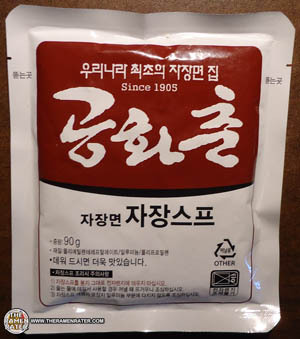 The jjajang sauce is really great – has a rich black bean flavor with a little bit of extra heartiness, especially from the potatoes. 4.5 out of 5.0 stars. UPC bar code 8801128506571. 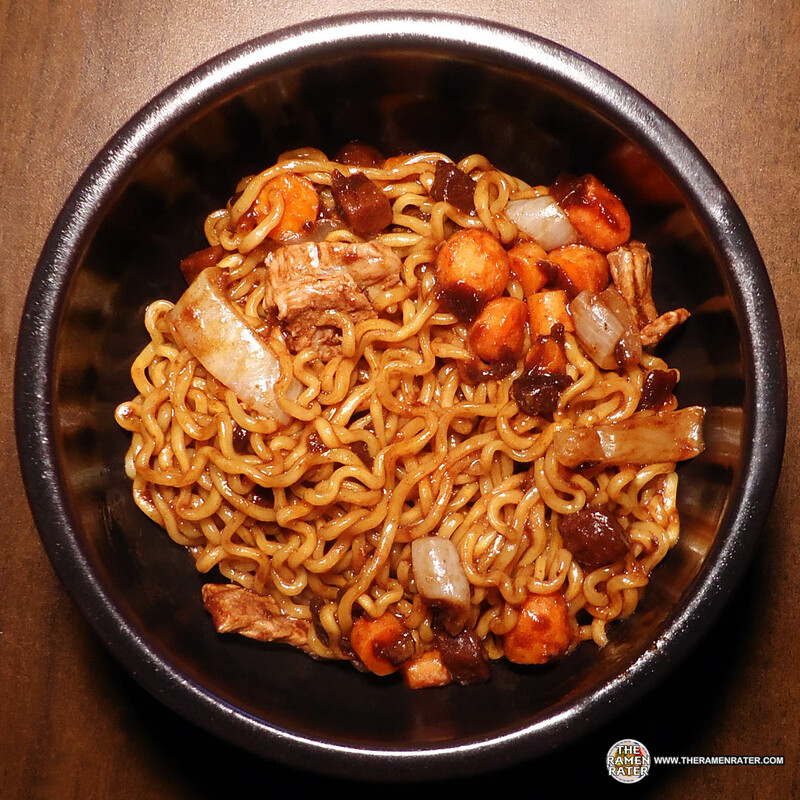 Here’s a recipe for jjajangmyeon!